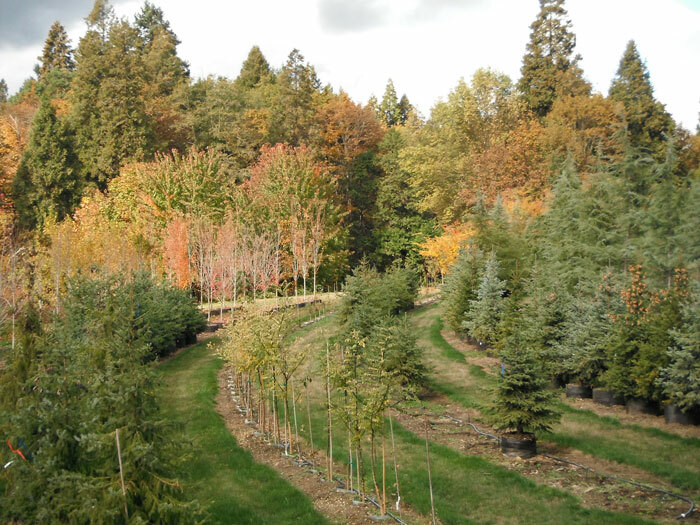 The Plant Oregon family has been growing quality plants since 1975, and we now grow thousands of specimen trees and shrubs, as well as provide fully licensed, bonded, and insured landscaping services. 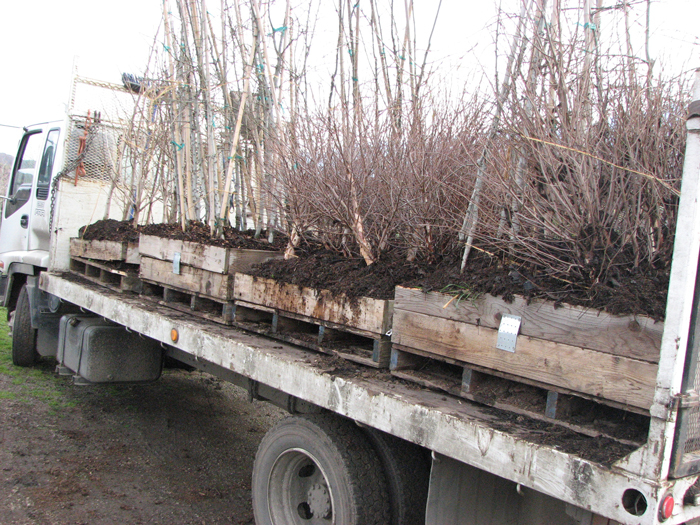 Plant Oregon grows high quality, root-pruned landscape plants. 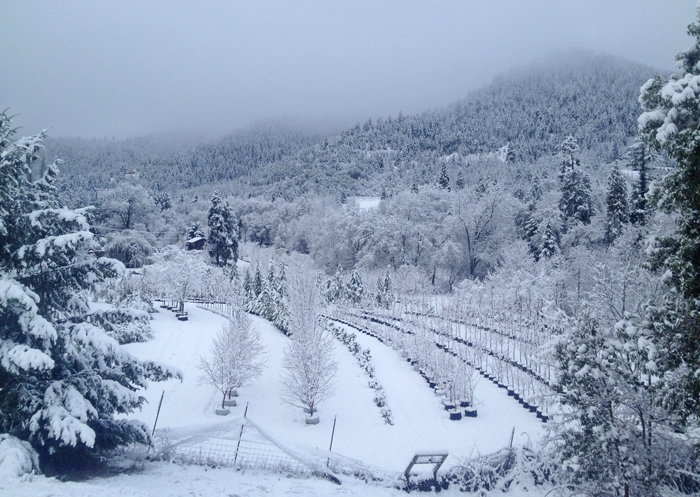 A wholesale nursery for over thirty years, Plant Oregon also sells to the public on Saturdays and by appointment! We currently grow a wide variety of woody plants, standard species adapted to this region and many rare and unusual species. We grow over 65 species of conifers, 160 species of deciduous plants, over 30 species of broadleaf evergreens, and over 90 of the species of plants we grow are native to the Pacific Northwest! A large focus of our operation is on native plants for general landscaping and for stream and wildlife habitat restoration. We propagate much of our native stock from local ecosystems to provide site-specific choices. Our primary business is growing plants, but we also sell compost, deliver plants to customers in the local area, as well as sell the Holmac Treedigger nationwide. 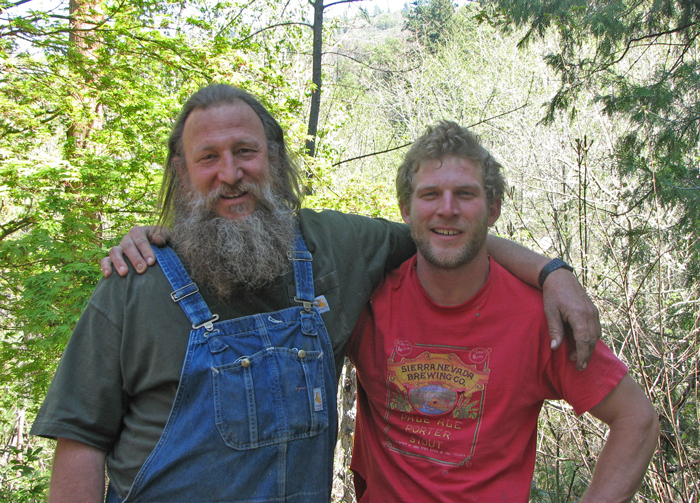 Plant Oregon was founded by Daniel Bish in 1975, and is now owned and operated by Dan, his mother, Dene Bish, and his son, David Bish. The family has been working with Oregonians and beyond for the past 30 plus years, bringing their welcoming, friendly, and professional energy with them everywhere they go. With a friendly and dependable staff at hand, Plant Oregon has grown over the decades to encompass 58 acres of quality plant production- 36 at our main location in Talent, and 22 acres at the Plant Oregon extension in Phoenix. Plant Oregon is located at 2000' elevation, in the foothills of the Siskiyou Mountains of southern Oregon in an area noted for its biodiversity. We are positioned quite nicely in a transitional ecoregion- happily balanced within the blending of the Cascade and Klamath mountain ranges, the coastal forests and the more arid high deserts. 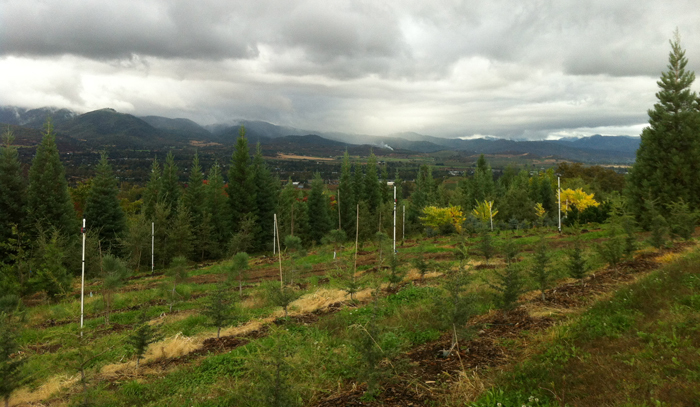 For directions to Plant Oregon's retail nursery and office, click here. Dan and Dave Bish are licensed landscape contractors and seasoned horticulturalists, as well as specialists in habitat restoration and natural landscaping. Their landscapes are designed to reflect to the beauty of the area, to be environmentally sensitive, and to encourage the return of birds and other wildlife. If you are in, or going through, our area, you are welcome to visit the nursery at your convenience. We have staff available to assist you Monday through Friday, 9 am to 1 pm and Saturday 9 am to 4pm. We are closed Sundays. You are invited to make an appointment if those times are not convenient for you!